For eleven years I had the opportunity and privilege to work with and learn from people affected by autism spectrum disorders. I focused on community initiatives that fostered an understanding of autism between people from diverse backgrounds, while also raising money and allocating funding for autism research grants and programs. I co-founded an award-winning mentorship program that pairs teenage boys with autism in local communities with college fraternity members, helped to design Autism Speaks' first model for its national student club program for middle and high school students, led several teams for my local Walk for Autism Research, and served on the NJ Governor's Council for the Medical Research and Treatment of Autism. I was awarded with a New Jersey Hero Award by New Jersey's First Lady, Mary Pat Christie, for my work over eleven years with autism spectrum disorders. The Award was established "to recognize, celebrate, and promote the Heroes of New Jersey who inspire fellow New Jerseyans to give back to their community." I served on the NJ Governor's Council for the Medical Research and Treatment of Autism for two years. New Jersey Governor Chris Christie appointed me to the Council for my work with autism over an eleven year period and for the establishment of a successful mentorship program pairing my fraternity brothers with teenage boys with autism. The fourteen-member Governor’s Council works to establish a Center of Excellence in the State of New Jersey where basic science and clinical research studies, clinical diagnosis, and treatment initiatives can take place. The Council awards over $4 million in grants and contracts to public and private nonprofit entities. The Council's membership is comprised of representatives from academic institutions, autism and healthcare organizations, appointees of the Senate President, Assembly Speaker and Commissioner of Health, and the general public/individual with autism/family member. In college I co-founded an award-winning mentorship program, Bros United, that paired teenage boys with autism from the NJ community with my fraternity brothers in Theta Delta Chi International Fraternity at Rutgers University. The goal of the program was to create an understanding of autism and the people it affects, forge friendship between mentors and mentees, and instill in its members the importance of service-learning. Bros United ran weekly for 8 weeks and encompassed mentor training by a behavioral therapist. 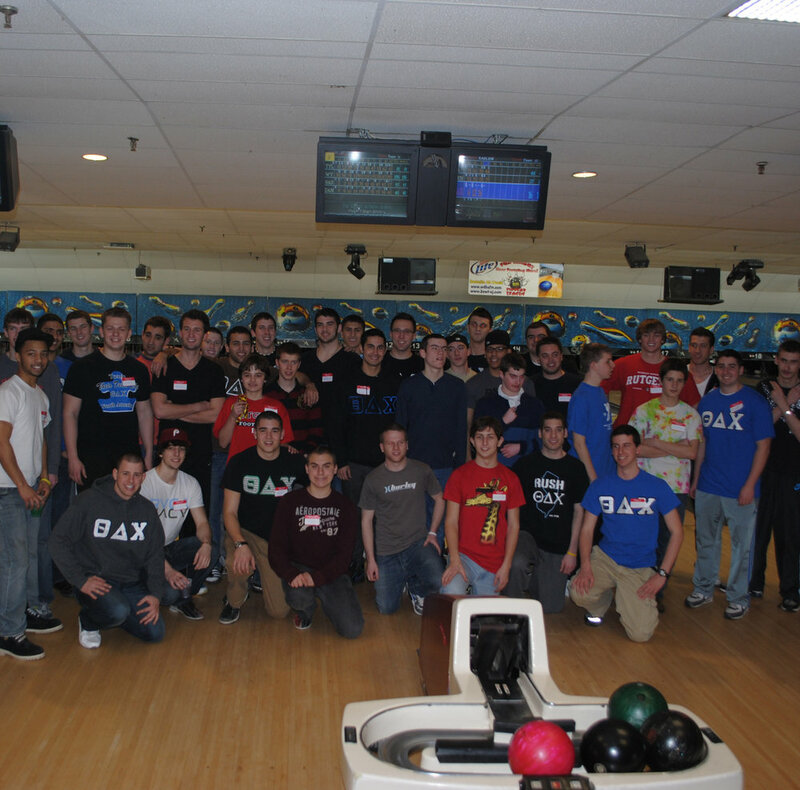 Three mentors were assigned to one mentee, and weekly activities included activities such as bowling, a campus scavenger hunt, attending a college sports game, ice skating, decorating fraternity paddles, and an awards banquet. Bros United has been running for the past nine years, has expanded to other universities across the United States, and has had several hundred participants. In high school I co-founded a school club to promote autism awareness, raise money for autism research, and walk in our local Walk for Autism Research. I led the club for three years and in that time we raised over $100,000 and had membership of over 100 students. Myself and my co-founder used the club's success to engage Autism Speaks, which had just formed, in a conversation about their national club program. We worked with Autism Speaks and a team of other volunteers to found and design the national model for Autism Speaks' middle and high school club program, which was called the Student Clubs for Autism Speaks. In my time volunteering with autism research, I led seven teams for my local Walk for Autism Research. In this time, my terrifically dedicated and hard working team members collectively raised over $200,000!